West Papua (Indonesian: Papua Barat) is a province of Indonesia. It covers the two western peninsulas of the island of New Guinea. Same goes with Papua province, West Papua has special autonomy status that makes its special region. Its capital is Manokwari, although the largest city is Sorong, and the 2010 census recorded a population of 760,855; the latest official estimate (as at January 2014) is 877,437. West Papua was created from the western portion of Papua in February 2003, initially under the name of West Irian Jaya (Indonesian: Irian Jaya Barat); it received its current name in 2007. 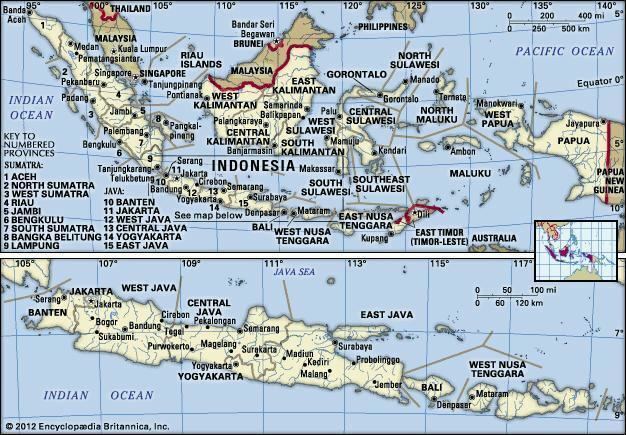 The province covers the Bird's Head (Doberai) and Bomberai peninsulas and the surrounding islands of Raja Ampat. With a population of 877,437 in 2014, it is the least populous province of Indonesia except for the newly created province of North Kalimantan. Even after Indonesia's independence in 1945, Papua and Irian Jaya were retained by the Dutch for various reasons. However, Indonesia claimed all of the territory of the former Dutch East Indies, including the Dutch New Guinea holdings, so it invaded Irian Jaya in 1961. It was agreed that by 1969 the UN should oversee a plebiscite of the people of Papua and West Papua, in which they would be given two choices: to remain part of Indonesia or to become an independent nation. This vote was referred to as the 'Act of Free Choice'. But, the vote was in fact conducted by consensus decision-making, or consensus of elders, numbering slightly over 1,000. 1,000 of these men had been selected by the Indonesian military. This body was coerced into unanimously voting to remain part of Indonesia; the territory was named as the province of Irian Jaya, later Papua. The result of the compromised vote was rejected by Papuan nationalists, who established the Free Papua Movement (OPM). The independence movement for West Papua has continued, primarily through peaceful protest and international pressure, but also guerrilla warfare against Indonesian administration. West Papua was created from the western portion of Papua province in February 2003, initially under the name of Irian Jaya Barat; it was later renamed Papua Barat (West Papua) on 7 February 2007. 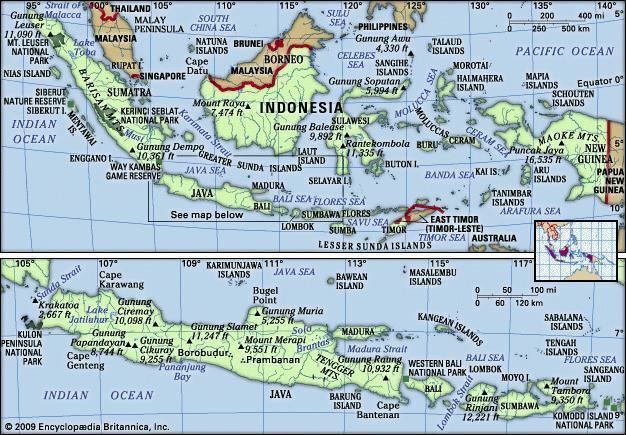 In November 2004, an Indonesian court agreed that the split violated Papua's autonomy laws. However, the court ruled that because the new province had already been created, it should remain separate from Papua. The ruling also prohibited the creation of another proposed province, Central Irian Jaya, as that division had not yet been formalised. The split is in line with the general trend of provincial splits that is occurring in all parts of Indonesia in the post-Suharto era. The province changed its name to "West Papua" on 7 February 2007. The new name applies from that date, but a plenary session of the provincial legislative council is required to legalise the change of name, and the government needs to issue an implementing regulation. In 2000 the areas now forming (since 2003) West Papua province consisted of three regencies (kapubaten) – Manokwari, Sorong and Fakfak. By 2010 the province was administratively divided into ten regencies (kabupaten) and one autonomous city (kota), which together were subdivided into 155 districts (kecamatan) at the 2010 Census. Two new regencies have since been created; all the existing regencies and city are listed below with their populations at the 2010 Census and according to the latest official estimates (for January 2014). Subsequent to the 2010 Census, two new regencies – South Manokwari Regency (Manokwari Selantan) and Arfak Mountains Regency (Pegunungan Arfak) – were created from parts of the Manokwari Regency, while 4 districts of Manokwari Regency were added to Tambrauw Regency. The 2010 Census figures quoted above for all four of these regencies relate to their area as established in 2010.